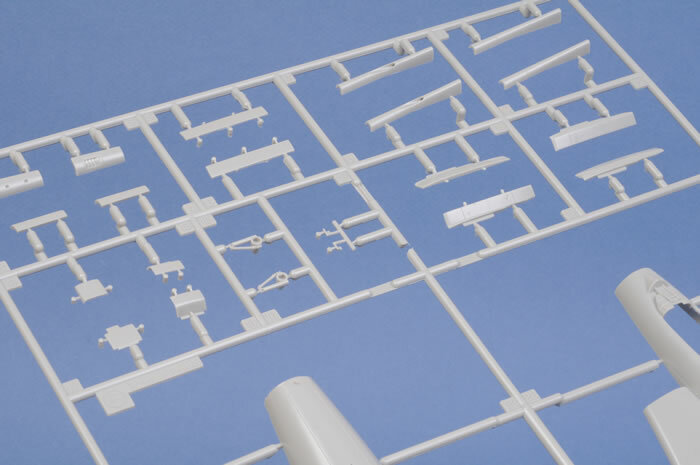 Approx 108 injection moulded parts in light grey plastic; clear injection moulded canopy and light covers. A well researched model that is the only game in town at this scale. Striking colour schemes makes this boxing stand out. 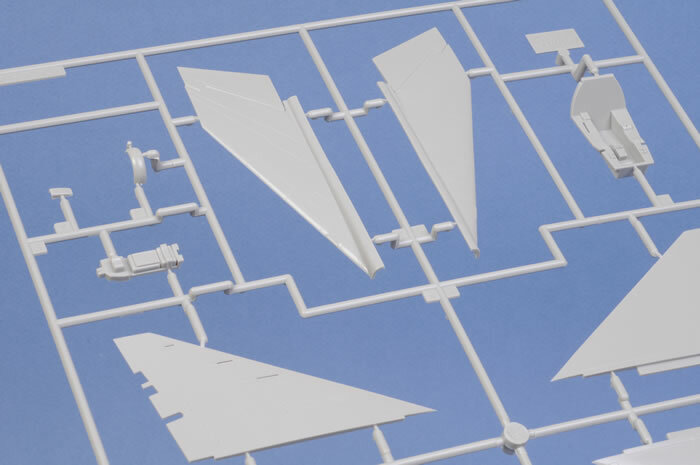 Hot on the heals of the release of the SAAB J35F/J Draken kit which I have to say took me by surprise, Hasegawa has pursued its usual policy of maximising their investment in tooling with new decal options and alternative parts. In what probably indicates the future release of Finnish and Danish versions of the sleek Swedish Draken, Hasegawa have released a boxing of the refurbished J35O which were purchased in modest numbers by Austria’s Air Force in 1985 and operated until replaced by leased Swiss F-5E Tiger IIs a few years ago and subsequently Eurofighter Typhoons. The Austrian Air Force was obliged by a treaty imposed by the Allied Powers not to employ air to air missiles on its aircraft. 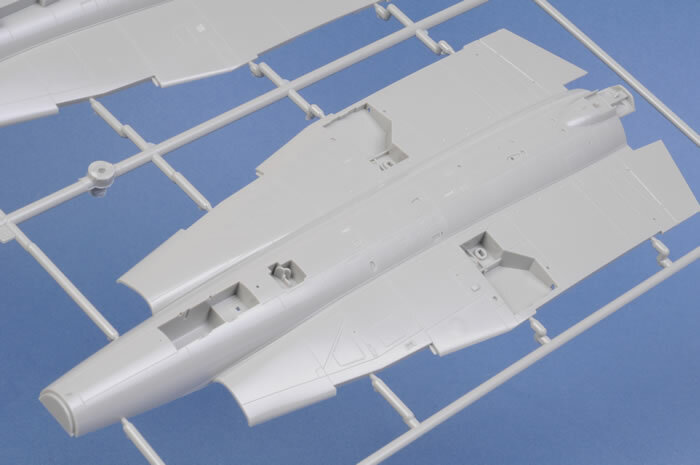 As such one of the big differences between the Swedish Draken and the Austrian version is the installation of 2 cannons in the wing leading edges vice one on the J35F/J. 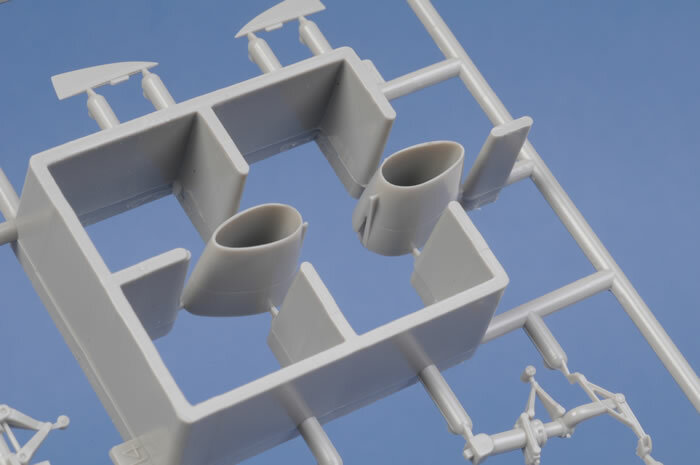 This detail is captured by Hasegawa with inserts which will complicate the build somewhat but basic skills should overcome this with the use of some care. Other differences in this boxing revolve around the airframe differences between the J35F/J and the J35O including the exhaust, antenna on the tail and various inlets on the fuselage. 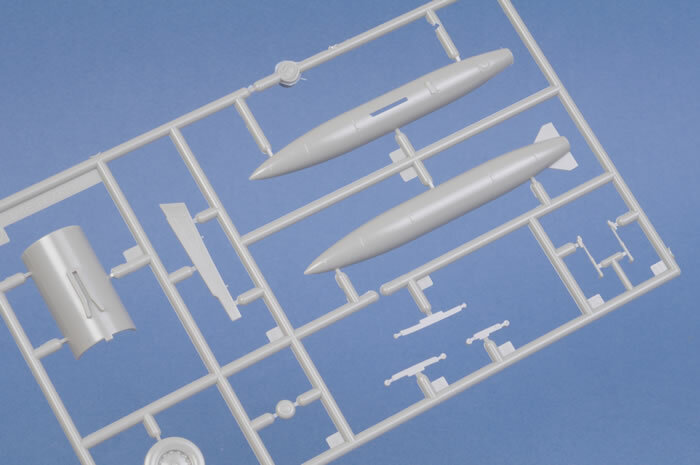 Oddly enough Hasegawa still provides directions for AIM-4D missiles, something that is probably not applicable to Austrian Drakens. 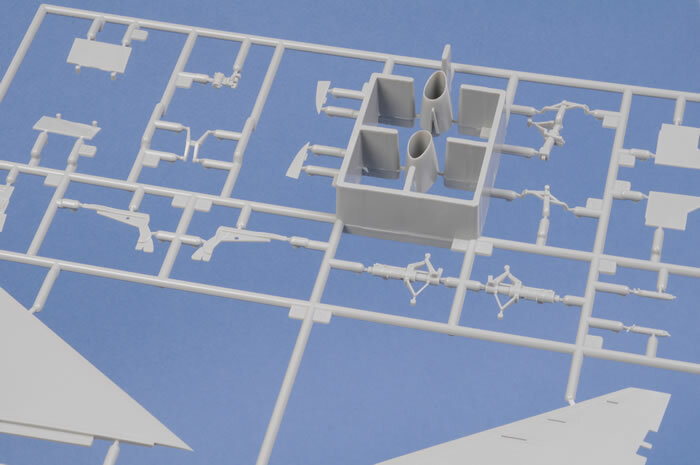 All alternate parts are either already on the existing main Sprues A and B or new Sprues D (exhausts) and J (control panel). 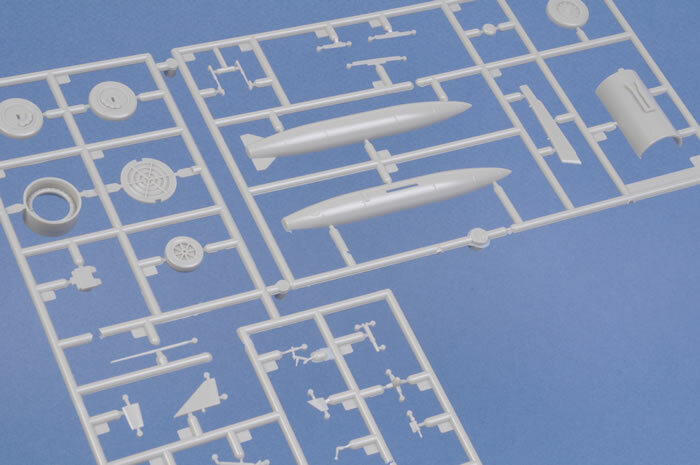 Missing are sprues K and N which are not required for the J35O. As the initial release has been well covered in reviews I will not dwell on the plastic itself. Perhaps the most striking aspect of this boxing is the decal options. 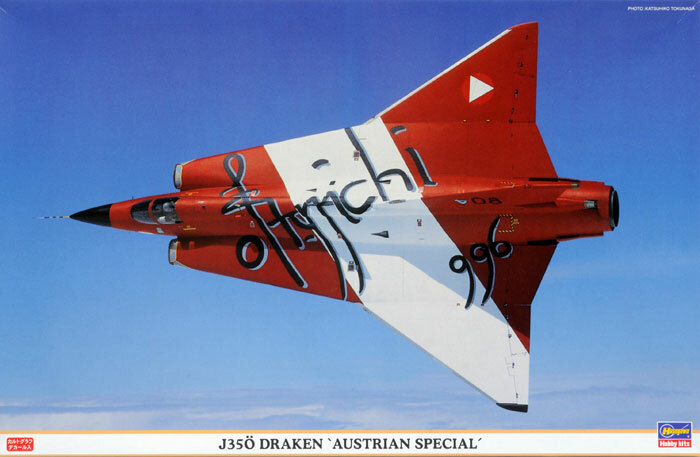 The first is a plain gray aircraft, but the second is in a magnificent commemorative scheme of red and white which if my translation is correct, was to mark 1000 years of Austria as a state. This scheme is illustrated on the box top in full and will make a very eye catching replica. 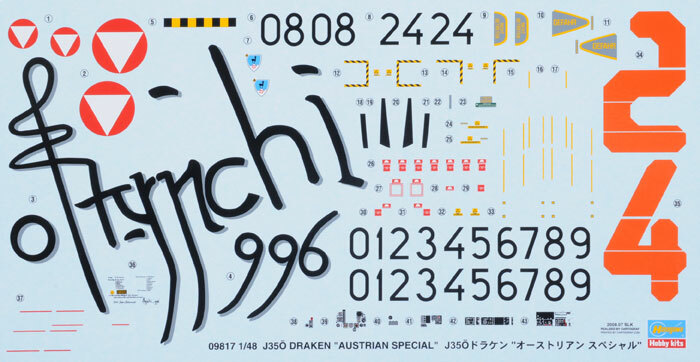 These decals a typical of the newer Hasegawa decals, being thinner and therefore probably easier to use. The greatest challenge will be laying the large slogan decal over the top of the fuselage given that it spans the spine of the fuselage from just behind the cockpit to well along the wing. Under this area are many protrubences and I suspect the use of this essential decal will not be for the faint hearted. 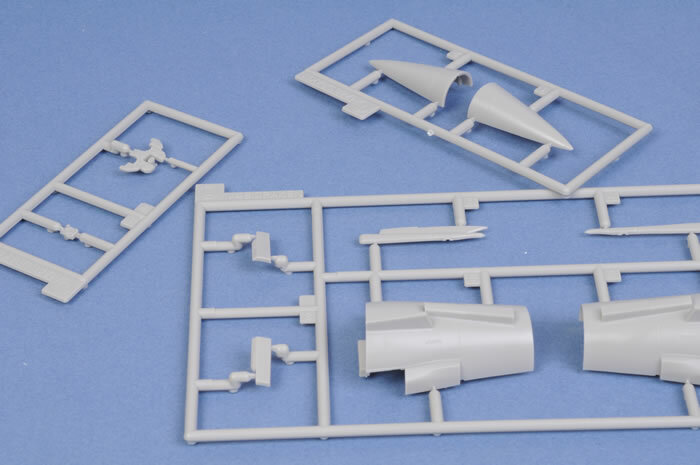 In summary, Hasegawa’s new Draken boxing is every bit as good as the initial Swedish release. The model will build up into an interesting and impressive model. 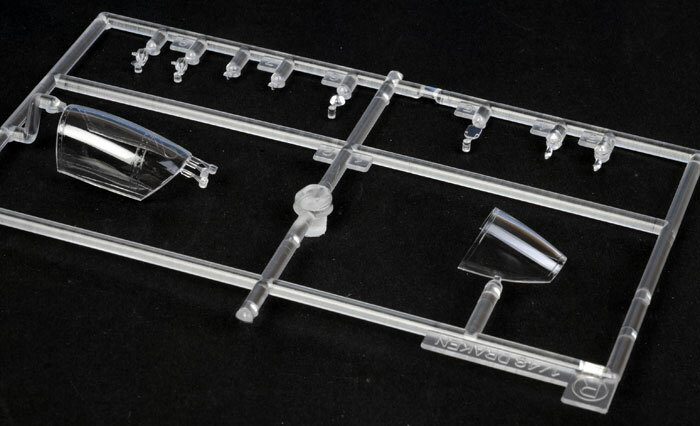 The only niggle if any is the use of inserts around the airframe to depict the changes between sub-types will make it a marginally more challenging proposition than some other models available these days. However to my mind the opportunity to build more and varied sub-types more than outweighs these problems. 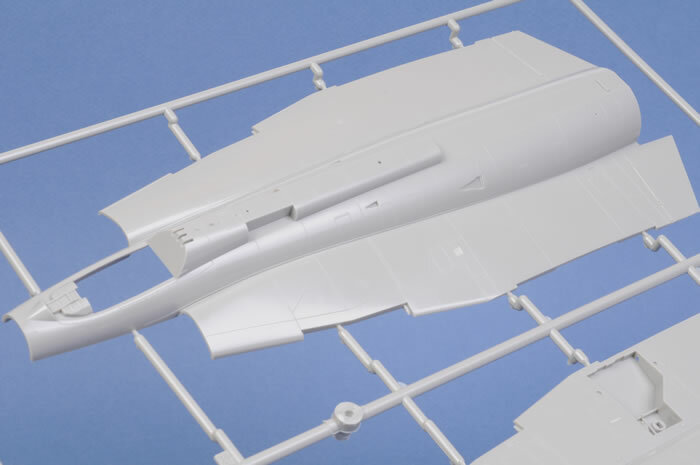 I have always liked the futuristic appearance of the Draken and I for one am very happy that these excellent kits are now available in my preferred scale.